Given a choice I will, more often than not, choose to "chew" my calories, rather then "drink" them. But the other day, I had green smoothies on my mind. I did a quick survey to see what kind of ingredients I had on hand: ripe banana...check...fresh pineapple...check...fresh baby spinach...check...and last but not least, coconut water. I whirled them all up in my magic bullet, not sure what to expect, but was rewarded with a delicious, healthy, and refreshing afternoon snack. Thus...the Tropical Green Smoothie was born! Coconut water seems to be all the rage these days. It's got an interesting flavor, I have to say. Almost salty to me, but it works really well in this smoothie. I'm not certain I would enjoy drinking it on it's own though. From what I read, coconut water is mother nature's sports drink, with it's amazing hydrating capabilities, high potassium levels and low natural sugars. It's no wonder people are going crazy over it! You can purchase it plain or with added fruit juice. The varieties with the added fruit juice are a bit higher in calories and sugar than the plain version. I can see why it made this smoothie so refreshing and the perfect beverage to enjoy on a hot summer afternoon! 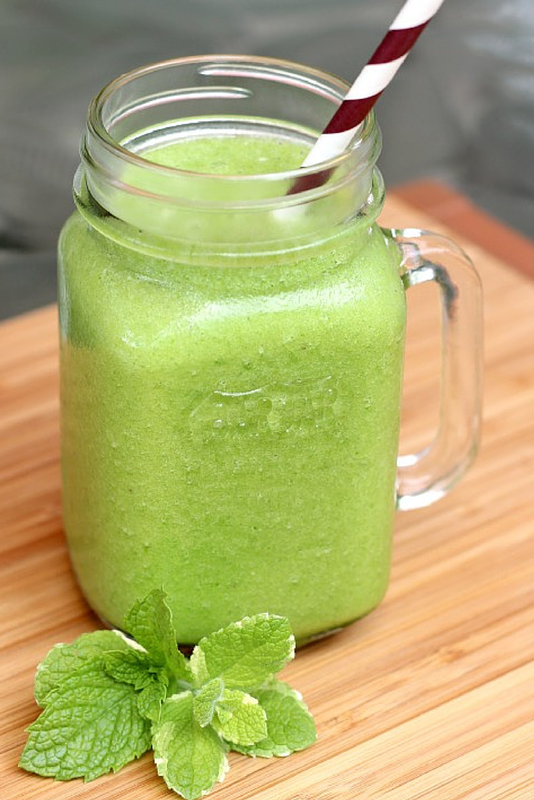 Tropical Green Smoothie would also be great frozen into "pops" during the hot summer months for a refreshing frozen treat too! Yum! Here's an interesting fact about plain coconut water...(and one that I find most interesting given my nursing background) Did you know that due to the isotonic nature of coconut water, it can be administered intravenously to replace lost fluids in an extreme emergency?? In fact, it is used quite commonly in poor, third world countries to save lives. Wow. Who knew? Add all ingredients into blender. ( I used my magic bullet). How about you? Have you tried coconut water? What do you think of it? I actually haven't tried coconut water, but I like that it's a lower carb drink than mine - some of mine are upwards of 70 grams of carbs - damn insulin! I just put coconut water on my grocery list - I'll let you know how I like it! Enjoy your Sunday! I recently tried coconut water for the first time, and I loved it! This looks so refreshing, can't wait to try it! Yes, I agree with you about chewing my food rather than drinking it. But like you said, every once in a while a smoothie is just the best "spot hitter". On my "to do" list for future snacking! Trying to learn to love coconut water, and I think your smoothie could make it happen ;) Great! The color is so nice! And it is so healthy! 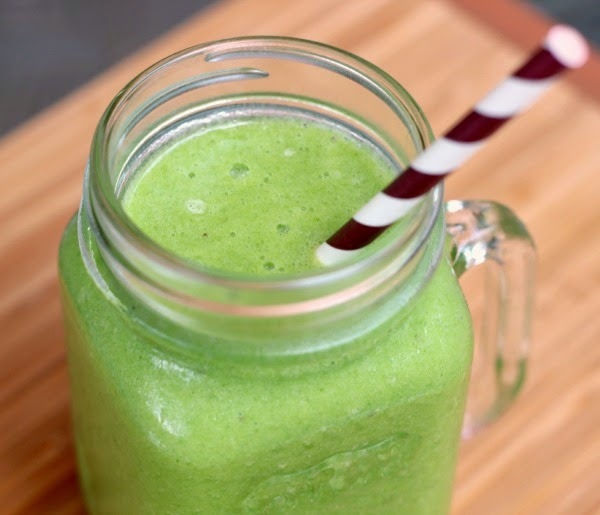 I love green smoothies and can't wait to try yours! So refreshing and healthy! I love green smoothies! This one is the prettiest shade of green I have ever seen!! Beautiful! So delicious and healthy! Sounds wonderful! My goodness, this sounds and looks so refreshing and delicious! 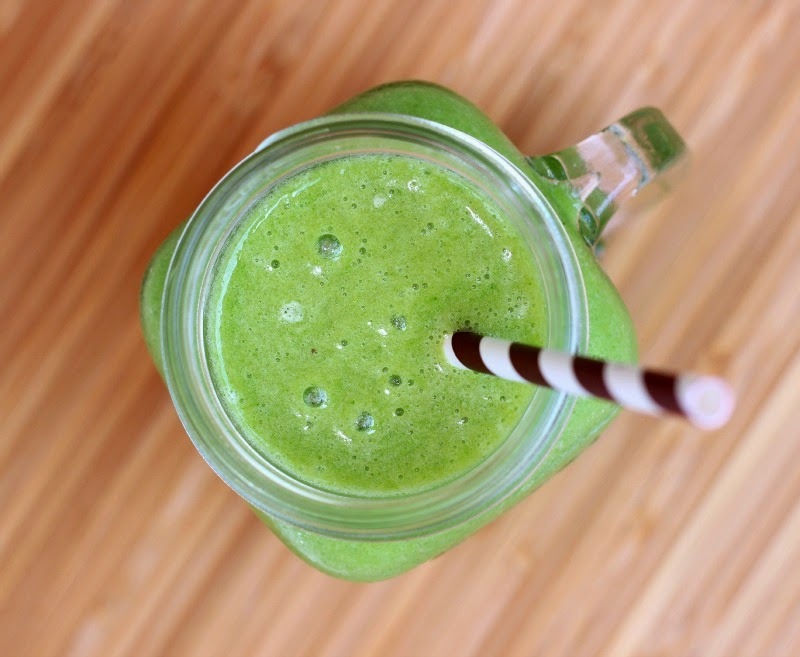 We are in the smoothie mode right now in our household and will be giving this one a try! This smoothie looks so refreshing! The coconut water is full of electrolytes, which is perfect to drink after my Bikram Yoga class! Love your green smoothie Renee. 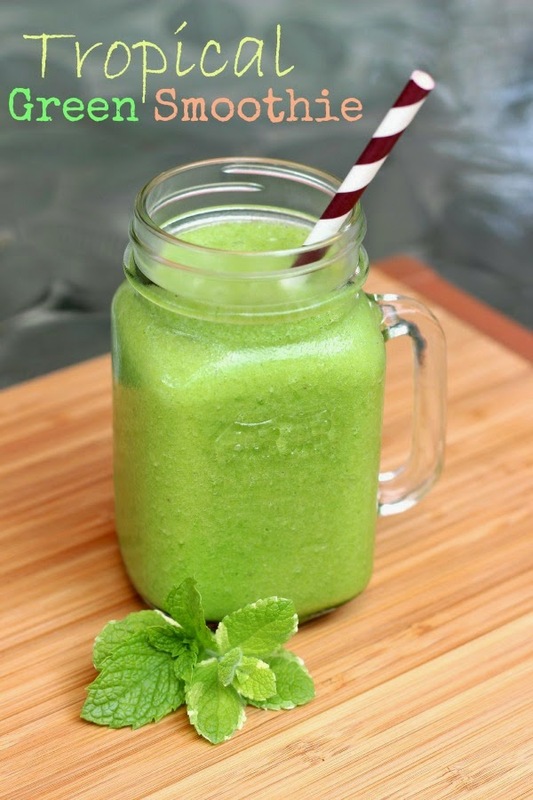 I'm a 'green drink' smoothie fan and I'm with you on the Coconut Water, prefer to add it with other ingredients rather than drink it on its own. This smoothie recipe is definitely a must make for me this week. Pinned/shared. I love pineapple so much! This sounds so delicious!